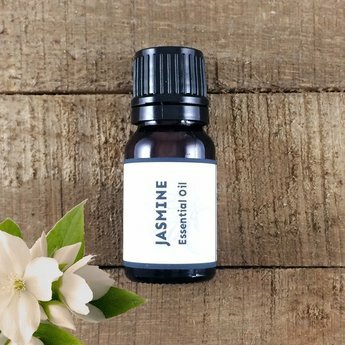 Jasmin (Jasminum grandiflorum) essential oil is a golden brown liquid with an elegant, sweet, ethereal, with a floral bouquet scent and a vanillic undertone. Best known as an intoxicating, mood uplifting, aphrodisiac. Diffuser: Jasmine is a wonderful oil to add to a diffuser. (to lift the spirits and soften the heart add sandalwood and rose, for arousal add a little ylang ylang, vanilla and sandalwood). For a massage or body oil add to a carrier oil such as sesame (the blends above are great for applying to the body as well). Add jasmine to a base of jojoba as a body oil for postpartum blues. Bergamot, clary sage, rose, rose geranium, lavender, mandarin, sandalwood, sweet orange. Jasmine flowers are picked after sunset to capture the aromatic scent. Jasmin garlands are used in Buddhist ceremonies to symbolize respect. Persian women soak jasmine flowers in sesame oil to massage into body and hair.